On 11th June 1787 some of the women in Ludgvan met at the home of local blacksmith, William Glasson, to set up a Female Friendly Society - their own self-help organisation for the mutual relief of its members in old age, sickness and infirmity. There was no government or employer health insurance so if a woman was unable to work she faced a life of begging or seeking relief in the poorhouse. Similar organisations were being established across the country and they had thorough, comprehensive and strict rules to cover the organisation and the members’ rights and responsibilities. The Ludgvan Female Friendly Society was restricted to 101 members and did not admit apprentices or anyone over the age of 45. 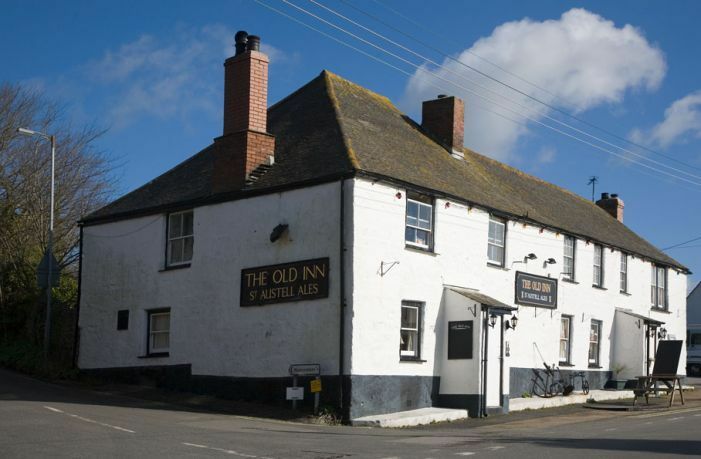 Members were expected to meet at the club house - the Old Inn - on the second Monday of the month for two hours. They would pay their monthly subscription of 6d and paid 1d to be spent in the house, presumably on liquid refreshment. The rules for claiming benefits were clear and fair and covered all eventualities – accidents, general sickness and ill health, maternity support for married women, old age and even death. When a member died, other members were expected to attend the funeral or pay a 6d forfeit and relatives of the deceased usually received help with funeral charges. Members of the society were expected to behave in a seemly and supportive manner to each other. Swearing, cursing, using scurrilous language, attending meetings “disguised with liquor”, talking during the meeting, disclosing the business of the society’s meetings or trying to dissuade others from following the rules were all punished by a series of forfeits and fines and sometimes by exclusion from the society. The subscriptions, fines and forfeits paid to the society were a significant financial commitment but the desire to be a member of the society is perhaps a reflection of the uncertainty of the times. Work at the mines was on casual basis whilst work on the land was seasonal and weather dependent. Many women found themselves widowed at an early age if their husbands worked down the mines or alone if they had enlisted to fight against Napoleon. Female Friendly Societies reduced reliance on the parish and gave members greater financial security. They also provided an opportunity to experience sisterhood, friendship and support based on shared conditions, experiences and concerns. They allowed women to take action, independent of their men folk, to improve their own lives. For more on this topic please see Women of West Cornwall, the most recent publication of the Penwith Local History Group.